Prut River. 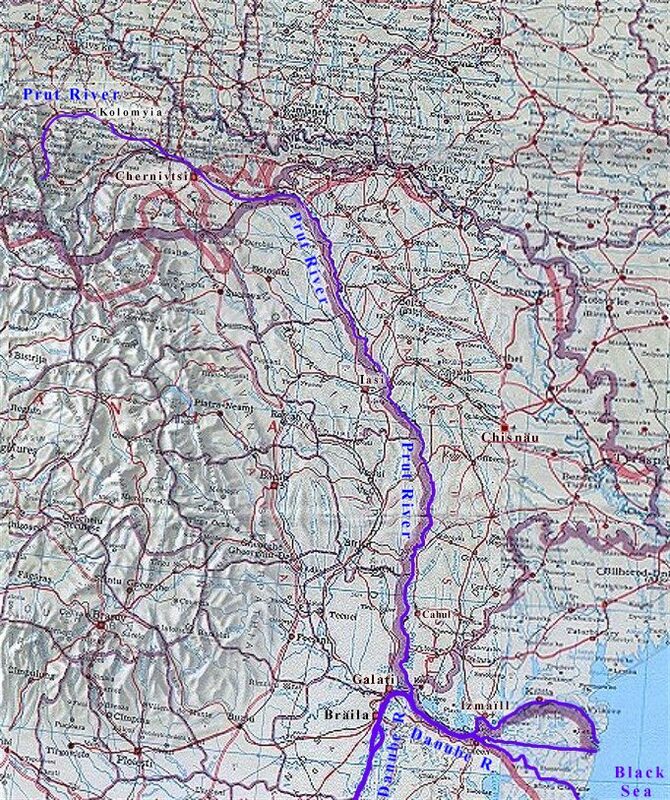 (Map: Prut River.) A major waterway in southwestern Ukraine that eventually flows into the Danube River. It is 910 km long (nearly 240 km are in Ukraine) and drains a basin area of 27,500 sq km (approx 8,000 sq km in Ukraine). 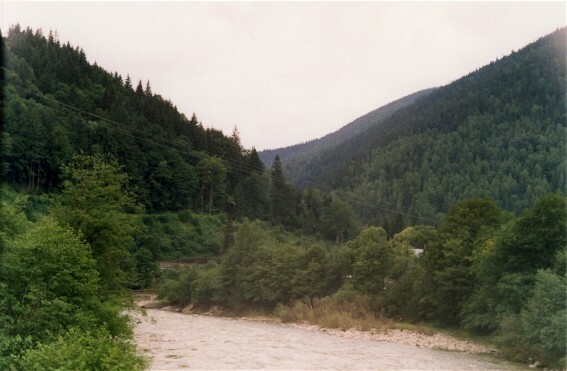 Its source is near Mount Hoverlia, and it flows through the Carpathian Mountains, Subcarpathia, and the Pokutian-Bessarabian Upland and Moldavian Upland. 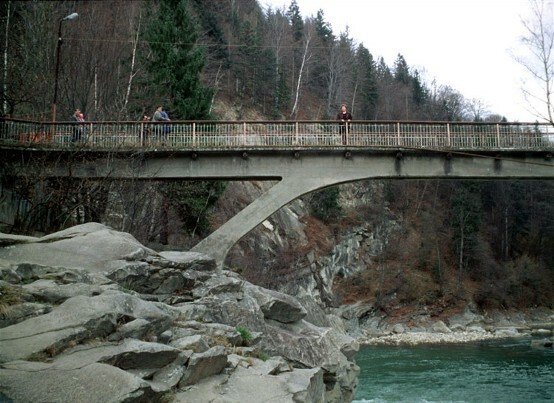 The river is the demarcation point for a short section of the Ukrainian-Romanian border and the length of the Romanian-Moldovan border. 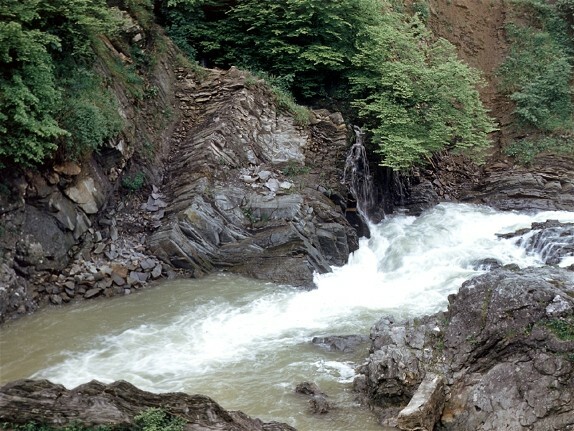 The first section of the Prut (to Deliatyn) flows through narrow mountain valleys and is marked by rapids and waterfalls (near Yaremche). From that point the river widens, although it still has a considerable drop. 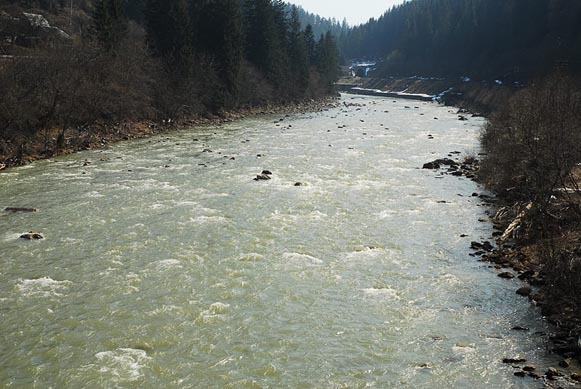 Fed by rain and meltwater, the Prut freezes over lightly from January to March. 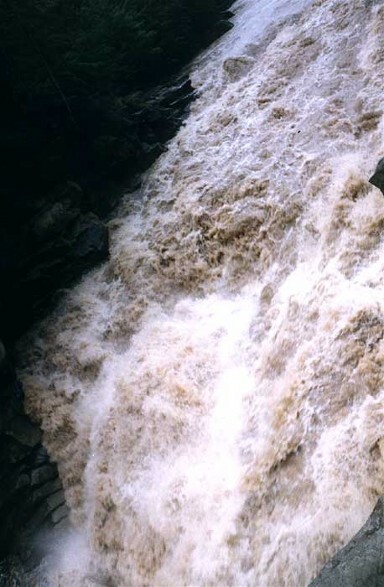 The river is used for log rafting. Major centers along its banks include Deliatyn, Kolomyia, Sniatyn, and Chernivtsi. 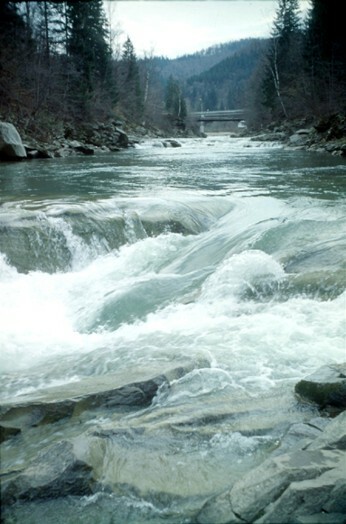 Its tributaries in Ukraine include the Pistynka River, the Rybnytsia River, and the Cheremosh River. A referral to this page is found in 41 entries.